I've been out of town, but have managed to do a little knitting on the tank. 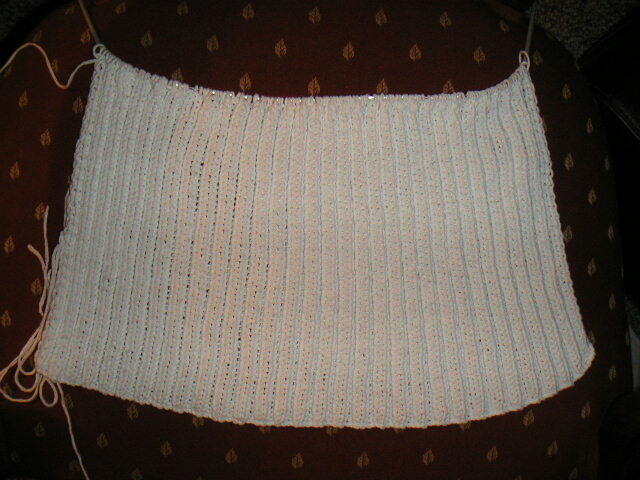 I've got about four or five more inches to go before I start the armholes. I've also been contemplating putting up my remaining bazaar items for sale here too, but I'm not sure. I'll decide when I get back home!